Has the weather got you down? Don’t worry, you’re not alone. A significant amount of folks (about 10 to 20%) experience seasonal symptoms of low mood or decreased energy. When symptoms are more severe, it’s often called seasonal affective disorder or SAD. Winter is the most common time for SAD (and the focus of this article), but some individuals may have similar shifts during other seasons. It's important to meet with a health professional if you are experiencing these symptoms. Along with their guidance, you may find it helpful to try light therapy. 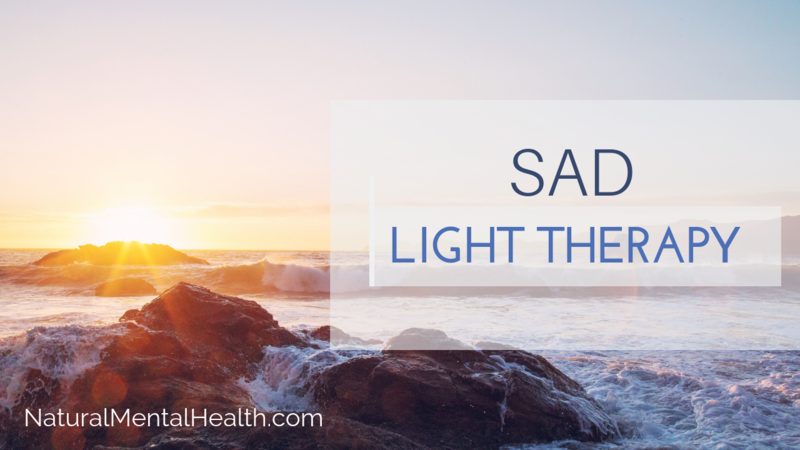 What Does Light Have to do With SAD? 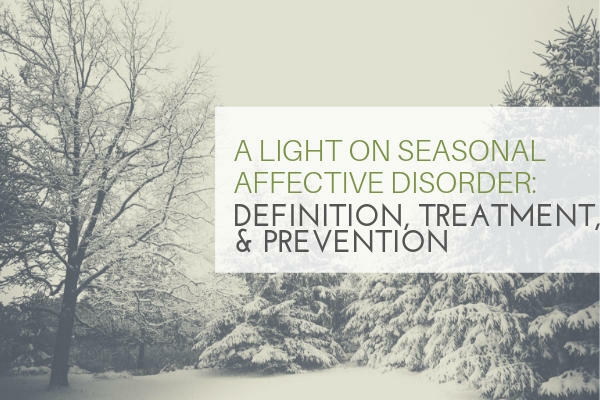 Research suggests that a big part of seasonal depression symptoms have to do with the changing exposure we experience to light and darkness in the fall and winter months. As days get shorter with less light exposure in the morning, our melatonin (sleep chemical) and serotonin (happy chemical) can get out of balance. This imbalance can lead to feelings of low energy, sadness, irritability, or trouble sleeping. There may be even more to this serotonin-melatonin story… Folks who experience depression often have lower levels of serotonin- particularly in winter. 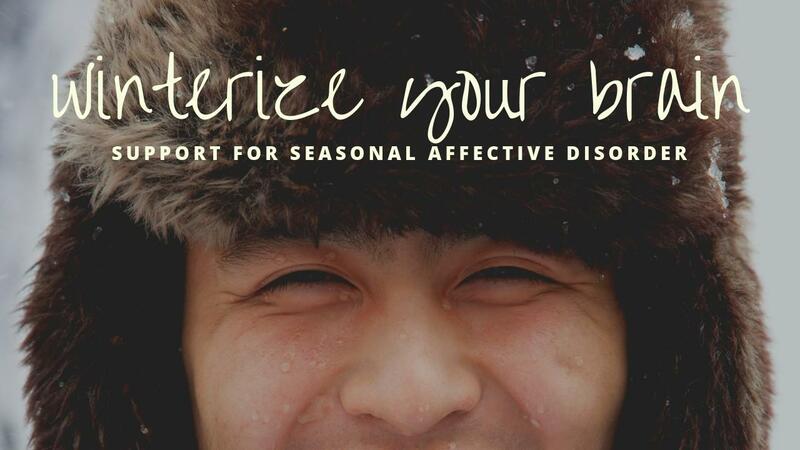 And folks with seasonal affective disorder may produce higher levels of melatonin in winter months than other people. Vitamin D deficiency has also been linked to an increased risk of seasonal affective disorder. For example, studies show there is a lag of about 8 weeks between the peak in intensity of ultraviolet (UV) radiation and the onset of seasonal affective disorder symptoms. This delay correlates with the time it takes for UV radiation to be processed by the body into vitamin D.
One particularly effective, evidence-based treatment for SAD is phototherapy. You can do phototherapy at home (or anywhere else) with the use of a SAD light box. You may also hear these called SAD lights, SAD lamps, or seasonal depression lamps. Thanks to advancements in LED technology, good quality lights are affordable, portable, and super simple to use. These light therapy devices are thought to affect brain chemicals linked to mood and sleep, in effect easing SAD symptoms. Light therapy is generally most effective when done early in the morning after waking up. 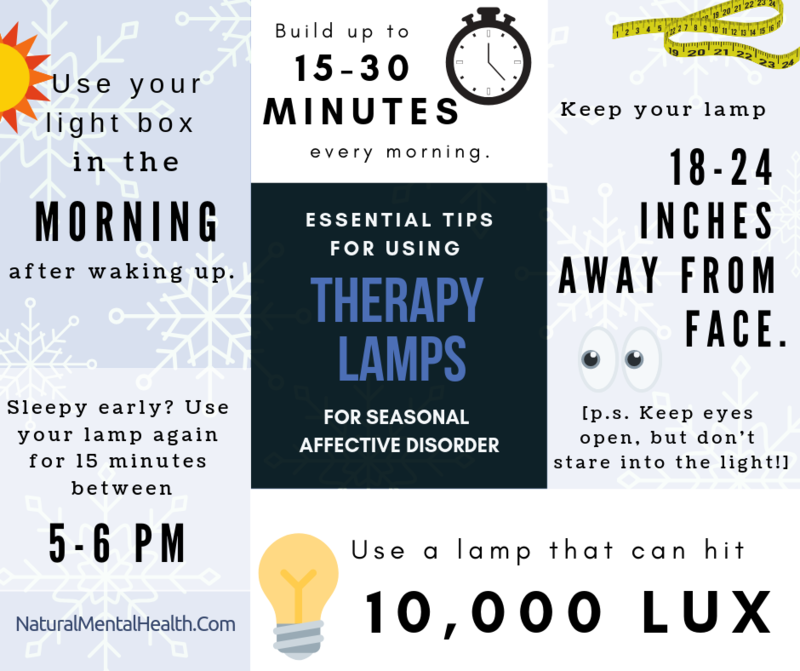 It can also be helpful to use your light again in the late afternoon, especially if you get sleepy between 6-8 PM. That’s because melatonin is released within an hour or two after sunset, and that happens so early for some of us that you might want to go to bed right after dinner. Assuming that you don’t head to bed so early, you might notice that when your desired bedtime of 10 or 11 PM arrives, you aren’t sleepy. Melatonin only lasts a few hours, so it is gone by then and you don’t have a signal to go to sleep. If this happens to you, use the light again for 15-20 minutes in the late afternoon, around 5-6 PM. The intensity of the light box is recorded in a unit called a lux. This is a measurement of the amount of light you receive. You’ll likely want a light box that can hit 10,000 lux. High quality devices often have a range of lux you can choose from. These can be helpful if you find 10,000 lux too much or want to add a lower exposure session later in the day. Keep your SAD light about 18-24 inches from your face. While your eyes must be open, don’t look directly at the light box because the bright light can damage your eyes. With a 10,000 lux light box, light therapy typically involves daily sessions of about 15 to 30 minutes. A lower-intensity light box, such as 5,000 lux, may require longer sessions. Check the manufacturer's guidelines and follow your doctor's instructions. You may want to start with shorter sessions (and lower lux) and gradually increase with time. Don’t let this time commitment freak you out- you can do other things during your session without impacting effectiveness. Just be sure not to stretch the distance from your lamp if you’re multitasking. Use your light daily. Seriously, every day! The effectiveness of a light box depends on consistent daily use. Where will you use it? Think carefully about the most convenient, realistic place you’ll consistently use your lamp. If it’s at work, do you care if folks know it’s a SAD lamp? If so, you may want to get one of the more-fashionable-less-medical-looking If you want it to be portable, then look for a lamp with a battery. How will it sit and how do you want to sit/stand in front of it? After you know where you want to use it, consider how you want to position yourself appropriately in front of it. Some light boxes can be wall-mounted, others are made for you to sit under, and some are ideal on a flat surface. Remember, you’ll want the lamp to shine toward your face and be 18-24 inches away, so pick something that fits your space and needs. Recommendations & Reimbursements. Your doctor or therapist may recommend a specific light box, so be sure to ask. As far as reimbursements, most health insurance plans do not cover the cost. However, you may be able to use an HSA. If your symptoms don't improve enough with light therapy, you may need additional treatment. Talk to your doctor about other treatment options, such as antidepressants or psychotherapy. *We work to share the best products with you. The same ones we use. In this case, we are also an affiliate for this product and receive a commission on purchases.